On rainy days like today, I like to pull out my crock pot. It just seems appropriate to me for some reason! 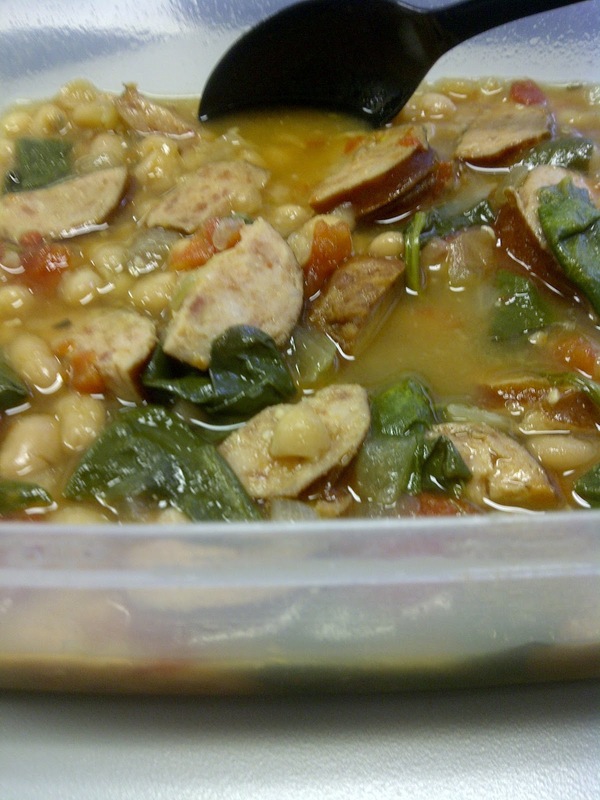 One of my favorite recipes of late comes from Kalyn’s Kitchen and that is her Slow Cooker Kielbasa and White Bean Stew with Tomatoes and Spinach. That’s a mouthful! Ha! I followed her recipe exactly. Enjoy, we sure did! I will follow this exactly too! yum yum..thanks!! My co-workers require that I factor in enough food for lunch so that they can sample everything. None of them are big on cooking, but they're all big on eating! mmmm this looks delicious! i am realizing my love for my slow cooker more and more these days. thanks for the new recipe to try out!